DCNR currently has an open round for grant applications for funds to acquire, plan and develop parks and trails. The deadline is April 16 by 4:00pm. Pashek Associates is helping Independence Township, Washington County, Fox Chapel Borough, Pine Township and Beaver County to prepare grant requests. The program is largely a 50-50 match with cash or in-kind services being acceptable matches. You can check the grant program out by going to http://www.dcnr.state.pa/brc/grants. Let us know if we can be of any help with your application for parks and trail development. Looking ahead, the grant opportunity created by Act 13 money for parks and recreation projects by DCED, is usually due in July. Governor Cuomo’s recent announcement $67 million in funding for bicycle, pedestrian and multi-use path enhancement projects, includes $611,000 to implement the first phase of the Barcelona Harbor to Chautauqua Institution Trail. This 1.5 mile section of trail will extend from Lakeside Park to East Chautauqua Street in Mayville. 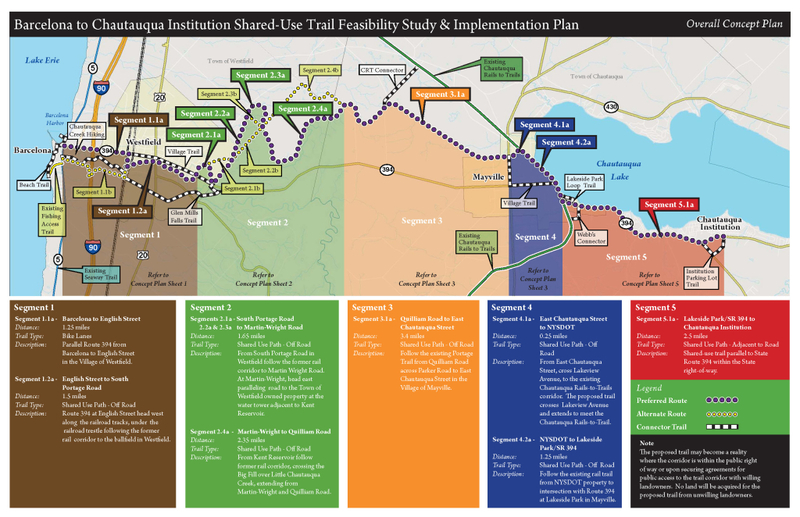 During the Chautauqua County Greenway Planning process, completed by Pashek Associates in April 2012, stakeholders envisioned the proposed trail. 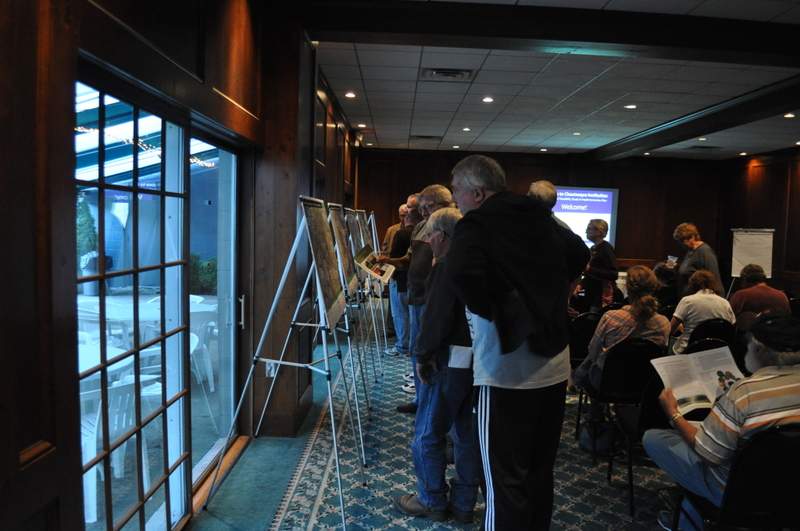 As a result, the County funded a trail feasibility study to determine if the proposal was viable. In that recently completed study, the Lakewood Park to Mayville portion of trail was identified by Pashek Associates as a demonstration project because of its high visibility. The Chautauqua County Department of Planning & Economic Development, Pashek Associates and the County Department of Public Facilities worked collaboratively in preparing the application, with the County of Public Facilities leading the way. This week PA DCNR announced the agencies and projects that will receive funding through the Community Conservation Partnerships Program. Pashek Associates assisted clients in obtaining over $3.2 million in funding this grant cycle. This funding will result in over $4.7 million dollars in investments for recreation, parks, trails, greenway, and OHV facility development. We congratulate our clients and look forward to assisting you in implementing your visions!